Tripods were invented to support cameras. USE THEM as much as possible. They have locking plates to keep the camera secure, and most have a fluid head that allows for smooth adjustments. 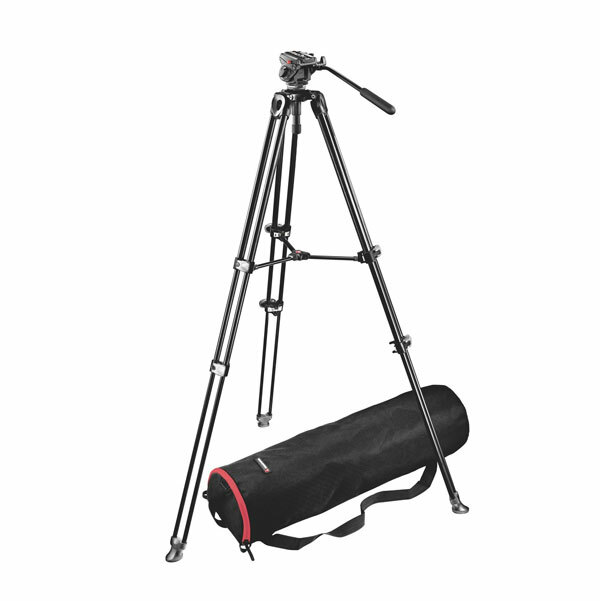 Take the time to set up your tripod correctly before you attach the camcorder. Follow these steps and you’ll be in good shape. 1. Extend the legs so the tripod is at the appropriate height for the shot. Lock the legs in place. 2. Check the leveling fluid to make sure the tripod’s head is level. The bubble should be inside the circle. 3. If tripod head is not level, loosen the lever on the head (or the stem below the head) and move/wobble the head until the bubble is inside the circle. Push the lever on the head back in so it locks into place, or tighten the knob on the stem. 4. Carefully attach the camcorder to the tripod head. Tighten the knob along the tripod plate so that the camcorder is secure (it’s usually a little black knob or lever). You can also use a wide range of surfaces and objects to support your camera. There will be situations when you need to take the camera off the tripod, but you still need to shoot steady video. So, use the world as your tripod. Find flat, smooth surfaces to support your camera. The possibilities are endless! We also have several Vello Action Pan supports available for checkout. They have rubber rails for support and a shockproof rubber handle. There’s also an accessory shoe for additional devices (light or microphone). Whichever surface or support you use, the key is to keep the camera steady while you’re recording. Let the characters and events be the main source of movement, more than the camera itself. Let the movement flow into and through the shot while the camera is as steady as possible.